It’s a balmy, summer day in Seattle and Parisalexa and I are on the hunt for ice cream. She knows a spot – or at least remembers there being a spot near where she played a packed set at Capitol Hill Block Party. As we’re crossing Pike Street, I’m getting flashbacks to just a couple weeks prior when the 20-year-old songwriter stood on the Vera Stage at the local fest, effortlessly commanding the crowd like a seasoned pro. When she told everyone to get low, they got low. When she’d run intricate vocal gymnastics over the live R&B instrumentals, the audience couldn’t help but cheer and sway their bodies to the music. Chief among these people are her parents, who cheered loudest from up front and could be spotted joyously livestreaming the set from their phones. Being there felt like a watershed moment of an artist marking their ascent. But today, it’s all about getting some ice cream. “I definitely need to document this boujee-ness,” Parisalexa (whose real name is Paris Alexa Williams) says as she takes out her phone to snap a picture. She orders a combo scoop of rose and brie with cracked pepper ice cream. She laughs about how her mom is going to make fun of her later for getting such a lavish pairing. The ice cream comes with a dollop of irony, because Williams doesn’t exude any pretension when we chat. When she speaks, she's self-assured and focused. Even though she'd just recently turned 20, she talks about her craft and ambitions like someone who's been through it all. And for good reason – this is what she's been building up to, quite literally, her whole life. Throughout 2018, Williams keeps making undeniable strides in her career. After releasing her debut EP Bloom in January, she’s been on a remarkable winning streak. The collection of seven songs, documenting the highs and lows of a relationship, is the fullest view of Williams we’ve heard yet. There's plenty to marvel at, from the way she twirls her words over the booming beats and dizzying piano lines of “Hole in The Ground” through the intimate self-portraits of songs like “Deadhead.” The release was quick to position Williams as a rising local star, but her follow-up EP in June, the hip-hop leaning Flexa, finds her staking claim on a national audience. Recently the single “Ballin” appeared on Spotify’s popular Fresh Finds playlist, featuring an image of Williams on the playlist cover. Williams hasn’t wavered from her dreams of a career in music. She says she’s been singing practically since she “came out of the womb.” She recalls one of her earliest musical memories singing “Ain’t No Mountain High Enough” outside of an Olive Garden when she was three years old, complete with hand motions, belting out every line. She says people tried to give her money, her mother turning them away (“She’s only three! Don’t give her money!” Williams recalls her mom saying). In high school, it was all she thought about, often skipping class to do her makeup in the bathroom and write songs. “My parents had a parent teacher conference senior year. All my teachers are the same thing to say, ‘We love Paris, she's such a delight when she's in class. But it's so rare.’” She laughs. “And they're like, ‘Where are you? !’ And I'm like, ‘I'm just down the hall writing songs.’ I couldn't focus on anything else." Despite her natural talent for singing and working a crowd, Williams’ sights weren’t initially on being a performer. She always saw herself as a songwriter, penning songs for other artists. It’s something she still pursues, taking frequent trips to Los Angeles to work on material to get placed with A-list pop artists. 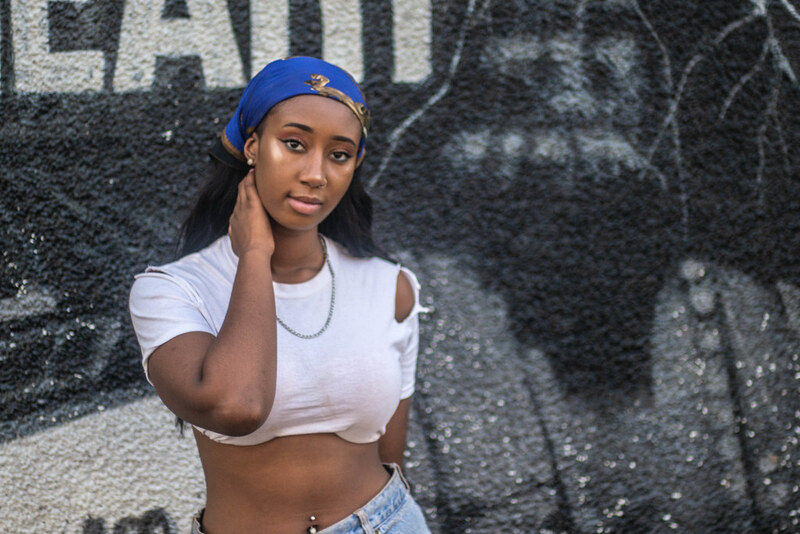 She reveals that her breakout single “Ballin” was originally written with the intention of passing it to rap star Post Malone, likening the beat to his hit “White Iverson.” It was the insistence of her longtime producer Elan Wright that she should sing the song that changed her mind, a decision she says she’s thankful for. It wasn’t until she performed at the 2016 Sound Off! competition for artists under 21 years-old that she began to see herself taking the stage. She recalls Sound Off! as the first time she had to give a “real performance,” working the crowd and playing to the room. Suddenly she saw potential for herself as a performing artist as well as a songwriter. She’d ultimately place second in the competition behind her friends in the Seattle hip-hop outfit COSMOS, but the studio time she was awarded brought her to Wright, leading to a prolific musical relationship. Far from just being a dreamer, Williams has steadily studied up on the music industry and prepped herself to know the ins-and-outs of the business. It’s why she smartly says she her dream is to get a publishing deal instead of a record deal, a move to protect her artistic creativity and image. 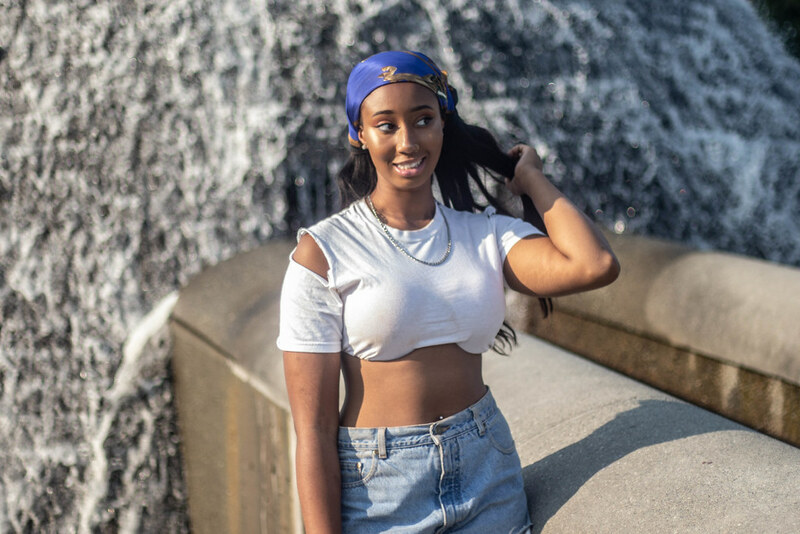 Throughout her teens, she participated in songwriting workshops through the Los Angeles based Grammy Camp, National YouthArts in Miami, Berklee Songwriting Camp in Boston, and the Cornish Songwriting Camp right here in Seattle. It’s provided her with a toolset to speak the language and understand the technical sides of a murky and dubious industry. Williams says she’s driven by success, not fame. Her goals are to be admired by the people she admires. It’s that feeling of confidence and drive that propels Flexa. Whereas she describes Bloom as “a letter to somebody else,” Flexa represents what she sees as a “super version” of herself. You can feel that in the cadence of “Ballin,” where she boasts wanting to buy a house for mother and one day getting a Grammy of her own. As she sings the staccato verses, there’s no wavering in her voice. Her vocal performances says she knows she’s going to make it – she’s just giving us a heads up. It’s also there in opening track “LV,” an ode to her mother’s Louis Vuitton bag and being grateful for the things she has. She gleefully shows me that she has the namesake bag with her at the interview. Williams’ visions for her future get clearer every day. It’s hard to even ask her about what’s next, because she’s constantly leaping toward her next step. She assures me some big announcements are on the horizon, too big to mention yet. What is known though is that Williams isn’t going anywhere. At just 20-years-old with her talent, drive, and wit, it feels like only a matter of time before we see her dreams materializing. Catch Parisalexa this Friday, Aug. 17 at KEXP and Seattle Center’s Concerts at the Mural with Delvon Lamarr Organ Trio and True Loves. Find out more details here. Watch her recent in-studio performance below.